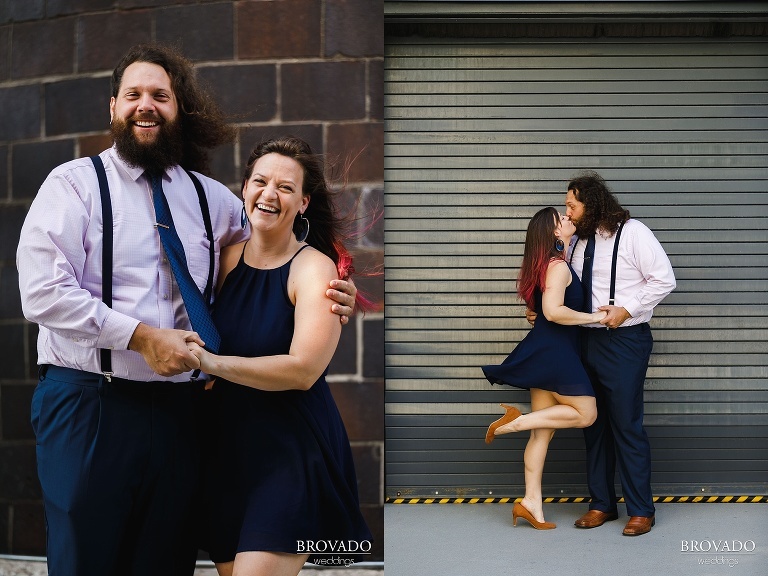 It’s only fitting that Bethany and Andy returned to St. Anthony Main, the place where they got engaged, for their engagement photos! 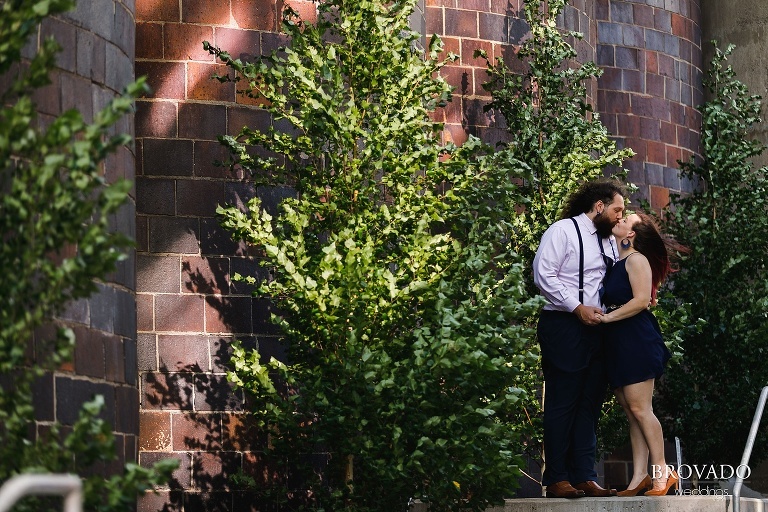 The two were engaged on the Stone Arch Bridge and while that story is cute, it’s all of the activity that happened before the proposal that really stands out. Andy has a great memory, especially when it comes to Bethany. He can recall what she ate, drank, and wore on their first date. He knows her favorite flowers offhand. It only makes sense that his penchant for remembering details about Bethany played a role in their engagement. After talking about marriage for a while the two visited two jewelry stores, one at the Mall of America and one in South Dakota, approximately 7 months apart. After having committed the first ring to memory, he recognized that she picked out the exact same ring at the second store, and thought to get her ring size during the process. After picking up the ring on Valentine’s Day in 2017, ordering a custom ring box from Athens, Greece, and making reservations at Smith and Porter, Andy was ready to propose. Despite the less-than-ideal weather, at 35 degrees in March, the two took a stroll across the Stone Arch Bridge prior to their dinner reservation. After listing the reasons he loves her he popped the question, to a “yes” from Bethany! Is that not the cutest backstory? 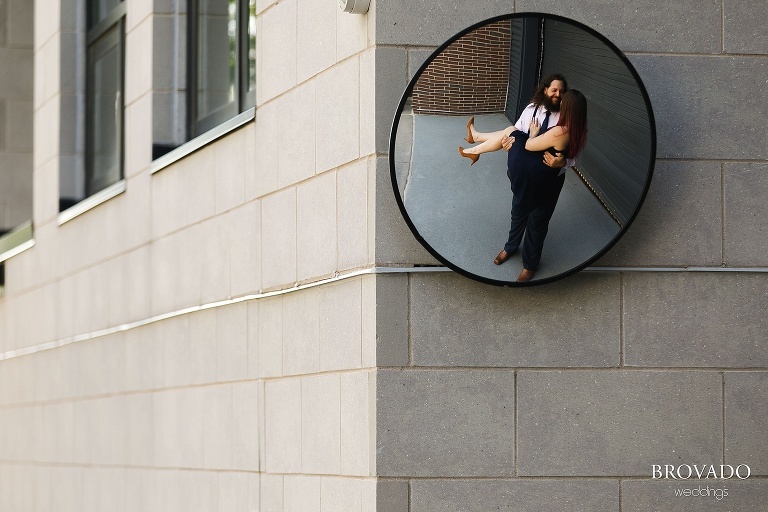 These two have such charisma, we are elated to be photographing their wedding next year. Looking forward to it, Bethany and Andy!